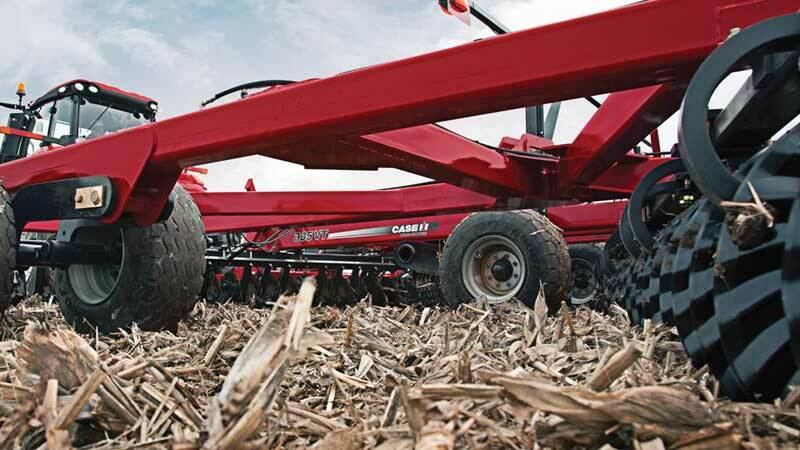 Case IH vertical tillage is the fast and efficient way to cover a lot of acres, manage residue and level the soil in either the spring or fall. The 330 and 335 True Tandem are a true all-purpose vertical tillage tool. Controls the size of the residue, breaks up corn root balls, puts sized residue in contact with the soil to promote breakdown of residue. Not to mention Anchor residue and reduce hair pinning. This exclusive, patented, shallow-con cavity turbo blade design vertical tillage with the added ability to level. Blades that move soil and residue laterally as well as up and down. Breaking the crust and aerating the soil.